Samsung unveiled three new wearables during Mobile World Congress in Barcelona last week, including its Gear 2 and Gear 2 Neo smartwatches, and the Gear Fit fitness band. We don't expect any of those to be super cheap, though, probably costing right around $200 and up. That leaves room for some expansion into a more affordable fitness market, and it appears Samsung already has something ready to go. Engadget recently discovered a filing with the FCC for the "S-Circle," which packs Bluetooth support for connections to smartphones, and is labeled an "activity tracker" in the documents. Our guess is that Samsung is taking this route to provide an option to folks who want to track their fitness, but who also have no need for a curved AMOLED display that the Gear Fit offers. This could come in at a much lower price, and would also presumably work with the same S Health 3.0 application offered on Samsung's new smartphones. 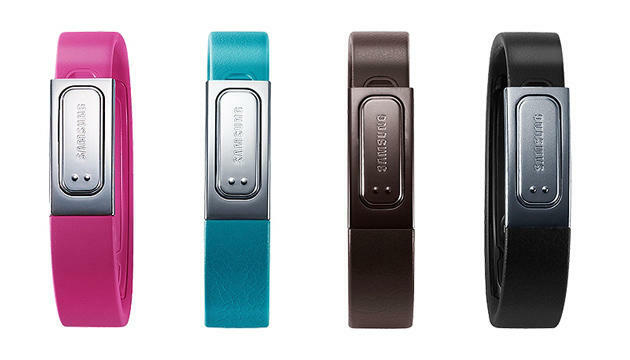 There's really no need for Samsung to have created a new device, since it already has the S Band (above) – though we're not sure if that really ever hit the market widely. As Engadget notes, it might pack new features like the heart rate monitor that's available on the Galaxy S5, Gear Fit and Samsung's new smartwatches. We don't know why Samsung didn't introduce the S-Circle during Mobile World Congress, especially if it is indeed going to hit the market soon. Samsung loves to keep fresh products rolling out all year long, though, so we expect new information on this in the coming months.